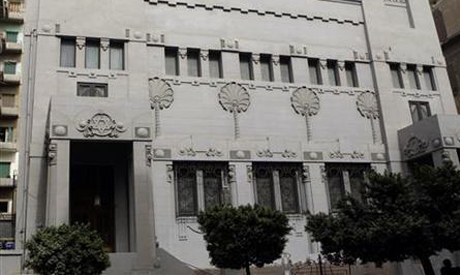 Egyptian authorities have ordered the cancellation of Jewish New Year and Yom Kippur celebrations at Alexandria's Eliahou Hanabi Synagogue due to security concerns. Several Israelis have already been denied permission to attend the festivals, the synagogue's Rabbi Abraham Nino-Dayan told the BBC. It will be the first time since the synagogue was built in 1836 that the festivals will not take place. “This is the end of Jewish life in Egypt,” the president of the International Association of Egyptian Jews in Israel, Livana Ramez, told the BBC. Nino-Dayan said he did not believe President Mohamed Morsi, a member of the Muslim Brotherhood, was behind the decision to cancel the festivals. Alexandria's Eliahou Hanabi Synagogue is one of the few active synagogue in the Egypt. I prayed in this synagogue in 1988. I met one of the few or the only Jewish merchant in the suq, Joe Hariri. How is it that Egyptian authorities cannot protect its Jews from worshipping on the holiest days of the year? Why is it that devout Muslims who respect their fellow Egyptians do not form a guard to protect the synagogue from fanatics who would bring shame upon Egypt and Islam? Why this fanaticism and wheere is the head mufti of Al Azhar to condemn this and go to synagogue on Kippur or Rosh Hashana to show solidarity with the Jews worshipping? Jewish life in Egypt at an end? This is a serious blow to the few Jews who still live in Egypt and to Human Rights efforts in general. Morsi promised inclusion and equal rights to all main faiths in Egypt. Why isn't there protection for Jews who want to celebrate their faith? Doesn't the current constitution say that Islam, Christianity and Judism are recognized and supported in Egypt. If this is the State talking then Egypt is in big trouble. International Human Rights Watch should be alerted and respond along with all major western countries. The USA should stop talking debt reduction if this is the way the current regime is going to treat its minorities. History is a strange thing. The Jews were in Egypt even before the Arabs had left Arabia and come to Egypt and now there are none. I suppose this is evolution. Actually Hector, Judiasm, Christianity and Islam are all versions of the native-pagan religions of the ancient middle east. None of them are holy and there is no such thing as gods. All humans are equal, religious labels have no meaningful purpose. Today's news September 4: "Israeli Settlers Torch West Bank Monastery", Hebrew grafitti "Jesus is a Monkey" on stone walls. re-Al Akhbar English. September 4 Israeli papers: "The Capital of Israel-Arab free in 2015". I suppose this is evolution. I was referring to the Jewish presence in Egypt at the time of the Pharaohs. There were no Arabs in Egypt at that time and no Islam so there could not have been the conversions you speak of. Yes the Arabs are one group of Semites by they derive primarily from Arabia. The Iraqi's, Syrians, Lebanese were not Arabs, they have been Arabised like the Egyptians (except for the Copts perhaps).There was neither Christianity nor Islam during the time I refer to. There has been a constant Jewish presence in Egypt for at least 4000 years if not longer and now none! The Arabs have only been in Egypt for about 1000 years or so. The Egyptians were not classed as Arabs ever historically until now. In fact they fought hard to keep all foreign invaders out, Greeks, Persians and Arabs. You may think of yourself as an Arab now but History and feelings are two different things. I am neither for or against this.I simply find it strange....EVOLUTION. I agree with you 100% Nelnashar. I stronly believe that the Palestinians deserve their land. My previous posting wasn't a support for Israel; it was support for the civil rights of ALL Egyptians. The problem with your posting is that it doesn't separate Israel from Jews; not all Israelis are jews and not all jews are Israelis. By grouping all jews as Israelis, you create a situation where all Jews will sympathize with the Israelis because we treat them the same. It's a mistake to treat them the same. Neter, the Islam is the final version of religion God bestowed on human kind. So most of the Jews, and Christians converted to Islam by finding this truth.